March 28-April 13 2019: David’s original monologues “Milwaukee” and “Night Shift” are included in the Five Minute Mile five minute play festival from Cone Man Running Productions at the Studio 101 theater in Houston, Texas. Tickets and more information available on the Cone Man Running web site. July 2018: David appears at the 0:18 mark of this commercial for AT&T Business Edge-To-Edge Intelligence directed by Adam Berg of Smuggler for BBDO Worldwide. 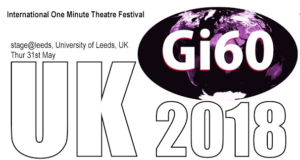 May 31 2018: David’s “Yard Sale” is included in the 2018 International One Minute Theatre Festival at the University of Leeds in the UK. Tickets available at the stage@leeds web site. January 12-31 2018: David’s one-act “Maryanne” is included in Program B of the Act One: One-Act Festival 2018 at the Secret Theatre in Long Island City, New York. The director is Barbara McGlamery. More details on the Secret Theatre web site. 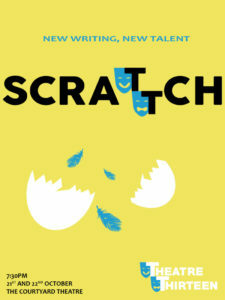 October 21-22 2017: “Cat, Woman” will be included in Scratch Night, an evening of acts being produced by Theatre Thirteen at the Courtyard Theatre, Bowling Green Walk, 40 Pitfield Street, N1 6EU, London, England. Performances begin at 7:30 pm. Tickets are £12 and can be purchased in advance at the Courtyard Theatre web site. 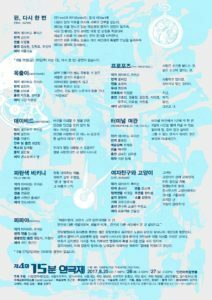 August 24-26 2017: Eight of David’s short one-act plays are being presented in Korean translations in the 4th Annual Fifteen Minute Theatre Festival taking place at the Incheon Arts Platform in Incheon, South Korea. Performances are Friday the 24th at 7:00 pm and Saturday and Sunday the 25th and 26th at 3:00 pm. There will be a Q and A with David following the August 26th performance. The Incheon Arts Platform is located at 10-1 Haean-dong 1-ga ,Jung-gu, Incheon, Korea. July 22 2016: David’s short play “Blue Bikini” is performed as part of “Burned,” an evening of act-plays presented by Four Quarter Theater at the Drama League Studio Lab located at 32 Avenue of the Americas, New York, NY 10013. The show begins at 8:00 pm, and advance tickets are available at http://burned.bpt.me/. February 27-28 2016: David’s short play “The Booth” is included in “This Round’s On Us,” an evening of short plays set in the 80’s and 90’s and presented by the Nylon Fusion Collective at The Cave at St. George’s Church, 209 E 16th Street. New York, NY 10003. Melissa Skirboll directs David Triacca & Skyler Gullun. Curtain time is 7:00 pm, and tickets are available at http://timetravel2016.bpt.me/. February 19-27 2016: David’s short play “The Proposal” is produced at The Secret Theatre in New York as part of the 2016 Act One Festival. 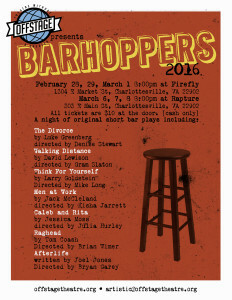 Performances February 19 at 8:00 pm and February 21, 24, and 27 at 5:00 pm. The director is Ryan Burton. Tickets at http://aooa2016.bpt.me/. January 19, 2016: David’s full-length comedy “Goose Hollow” receives a staged reading from Neo Ensemble Theatre on Tuesday, January 19th at 8:00 pm at the Burbank Senior Artists Colony, 240 East Verdugo Avenue, Burbank, CA 91502. The cast includes Linden East, Ben Gillman, Marcy Goldman, Starina Johnson, Anthony Marquez, and Keegan Winfield. Admission is free, and no reservations are required. October 2015: David’s short play “The Proposal” receives its premiere production in Neo Ensemble Theatre’s “A Street Corner Named Desire,” opening October 2nd at the VS. Theatre in Los Angeles and running Fridays and Saturdays at 8:00 pm and Sundays at 3:00 pm through October 25th. The director is Starina Johnson, and the cast members are Tameka Bob, Linden East, Heather Horton, Starina Johnson, and Anthony Marquez. September 19, 2015: David’s short play “Cat, Woman” has been named a finalist in the 2015 Long Island City One Act Play Festival (see below) and will be receiving an additional performance the evening of Saturday, September 19th. September 6-18 2015: David’s short plays “Cat, Woman” and “Walking Distance” are being produced at the Secret Theatre in New York as part of the 2015 Long Island City One-Act Festival, with performances from Sunday, September 6th through Friday, September 18th. The director is Barbara McGlamery and the actors are Cassie Gilling and LeBron Lackey. 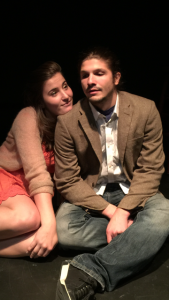 For more information, visit the theater web site at http://secrettheatre.com/LicOneAct2015.html. 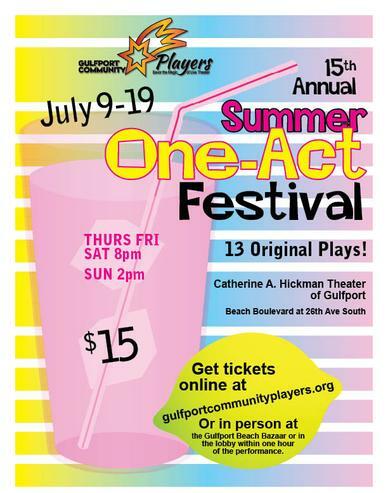 July 9-19 2015: David’s play “Maryanne” is being included in the Gulfport Community Players 15th Annual Summer One-Act Festival, being produced July 9-19 at the Catherine A. Hickman Theater, 5501 27th Avenue South, Gulfport, Florida 33707. 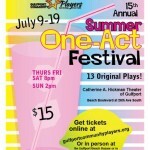 More information at gulfportcommunityplayers.org. May 24 2015: David can be seen playing the business manager to Chris Diamantopoulos’ Russ Hanneman in the “Adult Content” episode of the HBO series “Silicon Valley,” written by Amy Aniobi and directed by Alec Berg. April 28-May 3 2015: David’s new short play “Ten Exposures” will be receiving its premiere production in the Louisiana State University Theatre Lab Outworks Festival 2015. Performances will take place in the Studio Theatre, located in the Music & Dramatic Arts Building, at 7:30 pm each evening, with an additional 2 pm performance on May 3. Tickets are $10 each and can only be purchased at the door. For more information, contact the LSU Department of Theatre at 225-578-4174. February 2015: David appears as the boss in “Un vent de liberté souffle avec LOTO,” a commercial for the French National Lottery directed by Tom Kuntz for MJZ Productions/BETC. January 28, 2015: David’s short play “Maryanne” is performed by the Readers Repertory Theatre of San Pedro as part of a lunch-time program of short plays at the Croatian Cultural Center of Greater Los Angeles, 510 W. 7th Street, San Pedro CA 90731. The program starts at 12:00 pm, and admission is free.